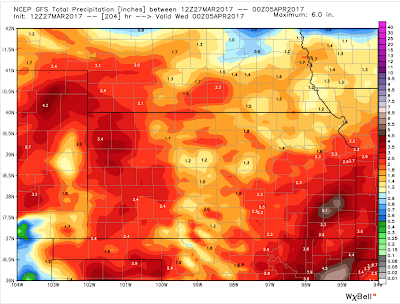 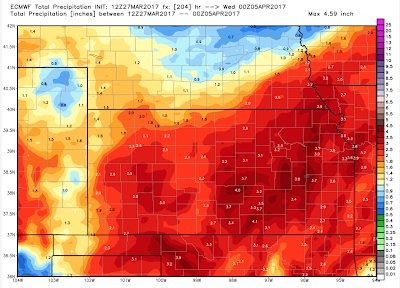 Here is one more set of model forecasts of rainfall amounts. In this case, I am showing 8.5 day forecasts because the last 1.5 days of the forecast runs are shown to be more or less dry. 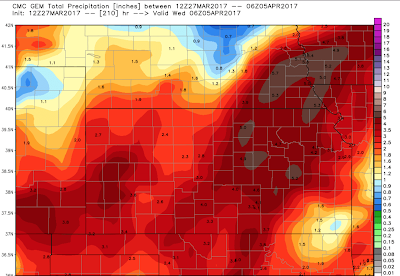 Below, I show how much rain has already fallen during the change in weather pattern from dry to wet. And, yes, nine days from now I'll post graphics to show how accurate the forecasts were (or were not).